What is Radio Frequency and How does the Radio Frequency work? Radio Frequency is not the same as laser. Radio Frequency (RF) usually refers to oscillations in electrical circuit. Aesthetic treatments reportedly use non-ablative (RF) energy in short,intense pulses that oscillte trough the skin to heat targeted tissue. Radio Frequency (RF) is often use to reportedly tighten the skin. The (RF)energy penetrates the ski and stimulates the contraction of collagen and the production of new collagen for skin tightening. Radio Frequency devices use a variety of delivery systems and penetrate to varying depths. a uniform volumetric heating effect into the deep dermis and underlying tissue. When the collagen and fiber in the derma layer heated to 45?-60 ? . increase, which really reach the effect of dispelling wrinkle forever and keep youth. For Facial treatment, good RF gel or some other skin care products are recommended to be used together so that achieve the best treatment result. 1: What is Radio Frequency? The thermal effect of the RF energy dependon the electrical properties of the tissue. As the current steam through the tissue and ions rapidly change polarity back and forth, heat is generated. 2: How many times use in a day? How long is a treatment course? How long can see the result? how long can be result last? Normally, Twice per day. Every time for 10 min. Some patient can see the result after 15 days of treatment.30 days as a treatment course. After 30 days, pause 3–6months, Then, use it again. 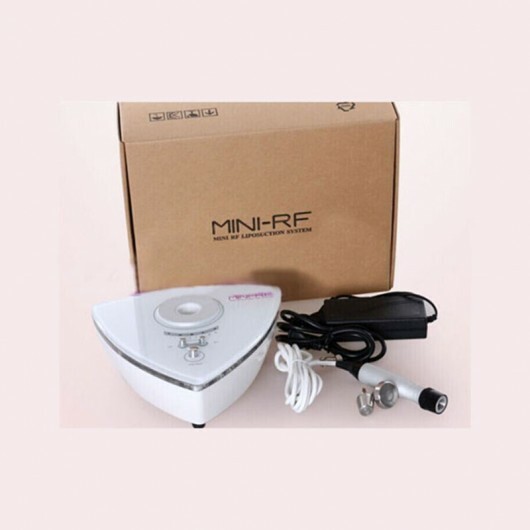 RF machine can stimulated the collagen protein regenerated long term and it reported to be result last 6 months or even 18 years. 3 : How’s the patient feeling during the treatment? Normally, the patient will feel cool in the surface of skin with each touch of the probe. This is to protect the skin and make the treatment more comfortable. Whn the RF energy is delivered to the skin and underlying tissue, the patient experiences a brief, deep heating sensation. Patients’ feedback on the level of the heat sensation during the treatment will help to guide the physician to adjust the energy release speedand energy amount to balance clients’ comfort wth max results. It’s normal phenomenon that some patients’s skin may appear with a little bit redness which will fade automatically after half an hour. 4: Is it enough for only one course of treatment? We suggest that the patient accept later maintenance treatment.Because skin care is never too long to care and human body is a living creature with new cells and dead cells everyday. It’s better to be stimulated oftenly. 5: What precautions should be taken before and afte RF treatment? Avoid the sun and avoid using acid, fruit acid one weeks before treatment. Do not use too hot wate to wash treated area (Use water under body temperature) and do not forget go for a sauna,or massage within one week after treatment.